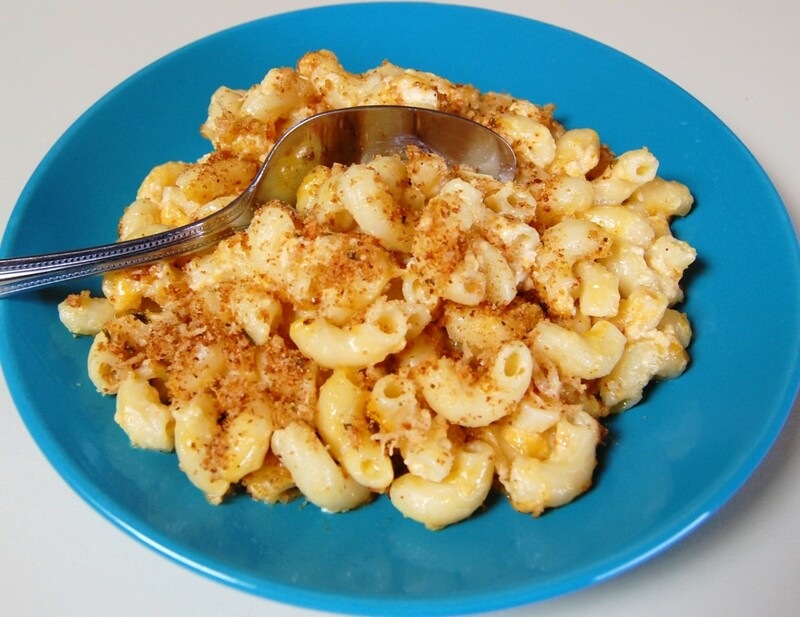 My family absolutely loves this mac and cheese topped with buttery Italian bread crumbs and Parmesan cheese! Spray the inside of a slow cooker with non-stick cooking spray. Bring a large pot of salted water to a boil, cook the macaroni until al dente (about five minutes) and drain. In a large bowl, whisk together milk, evaporated milk, 1/4 cup melted butter, eggs, salt and nutmeg. 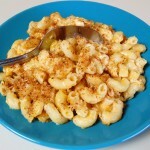 Add 3 cups of cheddar cheese, and cooked macaroni. Gently stir to combine. Season with black pepper. Pour the mixture into the prepared slow cooker. Sprinkle the remaining 1/2 cup cheddar cheese over the top. Cover and cook on LOW for 2 to 2 1/2 hours, until custard is set, and the pasta is tender. Stir to combine. Crumb Topping: In a small non-stick skillet, over medium heat, melt 1 tablespoon butter. Sauté the bread crumbs and parmesan cheese until the bread crumbs turn golden brown. Sprinkle over the macaroni and cheese before serving.